*Toddler (1-3 yrs) - RM90 / toddler. No bed or baby cot provided. 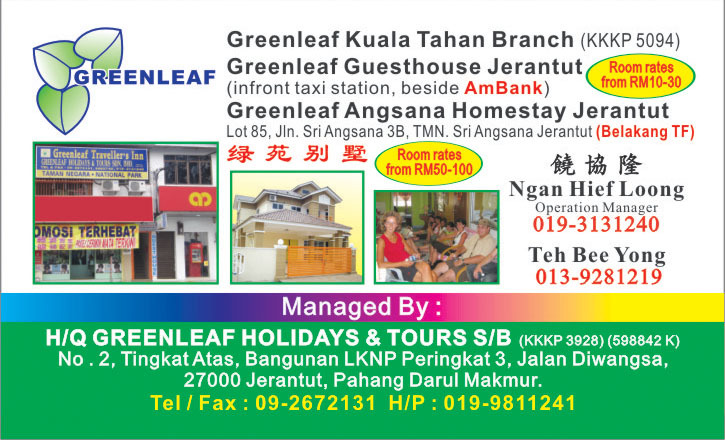 *School Holiday Surcharge at RM50 / pax / night. *1 Applicable to the 5th person in the Quad Room. *2 Applicable to the 3rd person in the Double Room. **For additional days, Day 2 programme is repeated. - Use of Resort facilities e.g. beach volleyball, congkak, mahjong, board games etc. - Each additional night includes one night accommodation, 1 breakfast, 1 lunch, 1 afternoon tea, 1 dinner and 2 snorkeling trips. - Insurance coverage. 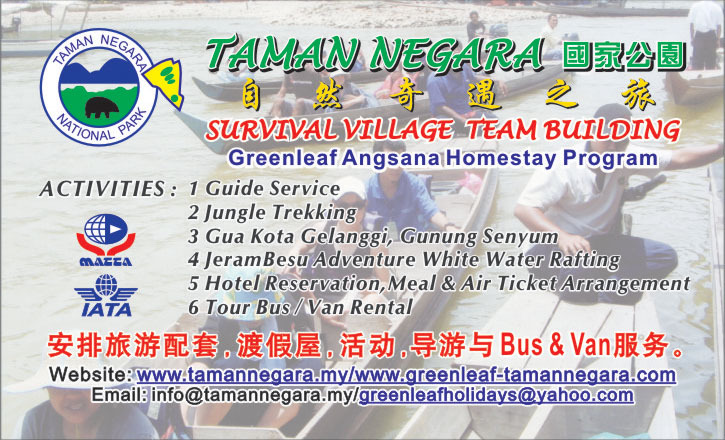 Optional: Travel Insurance at RM20 / person. - Ferry transfer or other boat transfer outside of our schedule.